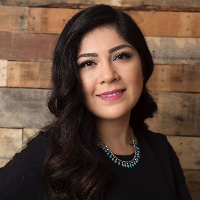 Hello, my name is Sarahi Hernandez and I am a licensed Marriage and Family Therapist in the state of New Mexico. In the past eight years, I have worked with individuals, couples and families throughout the life span. My approach is very diverse and I tend to utilize different theories in order to accommodate you and meet you where you feel most comfortable. I am client centered, accepting that you are the expert of your life and I am here to find ways to help you help yourself. To name a few, I use interventions from Cognitive Behavioral Therapy (CBT), Solution Focused (SFT), Narrative, Humanistic and Family Systems theories. My goal as a therapist is to provide you with a non-judgmental, compassionate and safe space to open up about the things that are causing you distress and or are making you feel overwhelmed. I highly value transparency and honesty when working with my clients. Many times we are willing to help ourselves when it comes to our bodies (medical problems); however, we naturally shy away from tending to our emotional needs. By accepting this help and reaching out you are starting this process of healing emotional wounds that are at times neglected. Ultimately, you will find that you are more resilient than you think, that you hold the answers to your own problems, and that you are evolving into the best version of yourself possible. I love what I do and more than a profession it is a vocation for me and I cannot imagine doing anything else. To share a little bit about myself, I was born and raised in California by immigrant parents from Mexico. I am first generation Mexican-American and the first in my family to graduate from college. There are many benefits to being bicultural; I believe I am able to understand different world views, customs, values and overall be more culturally sensitive. I am happily married to my best friend whom is from Honduras, Central America. We have a beautiful but spoiled one year old German Shepard named Niko. Sarahi is always supportive, respectful of my opinion, kind in her approach, she doesn't want to shape me, she gives me the opportunity to choose in what way I want to change, she makes me realize certain things and she is just a great person to talk to. She never ignores my questions or changes the topic which I appreciate a lot. Overall she gave me much understanding that my close ones couldn't give me as a true therapist would do. I would strongly recommend Sarahi to a friend based in how the therapy going at the moment. Sarahi is great at letting me know she is on top of my case and is really good about checking in every few days with me! I really appreciate her help. Sarahi has been very nice, supportive and understanding. She seems to know what my needs are and does a good job of gently pushing me to hold myself accountable, which is something I need. I have really enjoyed working with her. She is a very positive and attentive person. Easy to talk to and pays attention to detail of my problems. I have only worked with her for a short amount of time but I appreciate all that she has put in. Sarahi is very kind and it is obvious she genuinely wants to help. She takes into accound what is important to you and tries to find ways to help you respecting your decisions. I would recommend her to anyone as a positive, sensitive, altruistic and professional conselor that can pull you through difficult situations with just a few kind words! Sarahi has been a great counselor. She is is always concerned about my emotions. Sahari is a very good listener and always responds to what has happened in a very caring way. I feel safe to talk to her and she makes me look at my situation from different perspectives. There is no judgement, only support. I am enjoying talking to her a lot and feel like I'm making progress. She shows great empathy and insight. She tries to help get to the core of things and creates a safe online environment. Sarahi's style of communication is very familiar, warm, and understanding. She makes herself clear in giving advise as well as the direction she lays for you. Over all, she's great! Sarahi has been a great help so far, she seems to be a nice person who has empathy for my situation, I appreciate that in difficult times. Sarahi is awesome! Within days she managed to ”repair” my psychological state after the first counsellor, and progressed in dealing with my needs. I particularly like that she has understanding of immigrant background because being an immigrant facing certain problems makes all things by default much harder. I also like very much that she combines professional approach and her personal experience - it feels like if she is my ”professional friend”. My attitude towards online counseling became much better with her help and I definitely recommend her! Sarahi is absolutely great and very professional. She makes you comfortable and always has good answers and ways to help. She also helps you deal with upcoming things in you life and that has helped me a lot. She really gets to know you and is genuinely interested in helping you and I appreciate her more than I could have imagined. She makes my life better. Sarahi takes the time to understand your needs and is very caring and understanding. She has been the most caring counselor I've ever had and she always checks in to make sure you're doing ok. She offers great suggestions and sends useful information when necessary. I am really enjoying my sessions with her and finding them very helpful. Would you like to write a review for Sarahi Hernandez? We'd appreciate if you can spend a couple of minutes to write a short review for Sarahi Hernandez (MS, LMFT). This review would be shared with Sarahi Hernandez. It may also be posted in our website or in Sarahi Hernandez's profile but it would be anonymous and your identity would be kept completely confidential.